Diane Lane is set to return to the DC Extended Universe as Martha Kent, the mother of Clark Kent, a.k.a. the now deceased Superman, in Justice League. Lane was also a recent guest on The Late Show with Stephen Colbert. Lane and Colbert swapped stories of how jarring the transition from live theater performance to taped television or film performances can be. Lane has recently been dealing with a particularly extreme version of this issue. Lane is performing in a production of Anton Chekhov’s The Cherry Orchard. At the same time that Lane was learning her lines for The Cherry Orchard, she had to fly to London to film her scenes for Justice League. “It was almost a cliché of, ‘An actor prepares (not),’” Lane told Colbert, and then recounted flying back and forth from The Cherry Orchard rehearsals to the London-based production of Justice League. Lane recalled the Justice League “base camp” for the actors was like a trailer park set up on a decommissioned airstrip. She also remembered Jason Momoa, the actor playing Aquaman in Justice League, even though she never personally met him. That’s because while Lane was running lines in her trailer for The Cherry Orchard she could hear Momoa blasting death metal music as he prepared to film his scenes as Aquaman for Justice League. Momoa seems to have been having a lot of fun on the set of Justice League. Director Zack Snyder released a behind-the-scenes sizzle reel on Friday to commemorate the last day of production on Justice League in London and Momoa can be seen in the video stealing weapons from his fellow Justice League members and generally enjoying himself. As for Martha Kent, we’d be interested to know how she’s doing. No only did she lose her son in Batman v Superman: Dawn of Justice, but her home, the Kent family farmhouse from Man of Steel, was recently demolished. 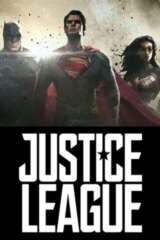 Justice League is directed by Zack Snyder, from a screenplay by Chris Terrio, and stars Ben Affleck, Henry Cavill, Gal Gadot, Ezra Miller, Jason Momoa and Ray Fisher.